Executive office suites now on offer close to the Ohio River in the downtown area of Louisville around 7th Street. This facility offers distinctive design concepts that make the reception very welcoming. The companies that occupy this facility are Fortune 500 companies, Media and legal firms, making this an excellent centre to do business. Close to many upscale hotels and restaurants in this tech driven environment is a business centre in one of the most vibrant areas of Louisville. This office tower is located on the East End of Louisville and offer many modern amenities. The offices are furnished to a high standard and come equipped with T1 technology, and friendly support staff to personally welcome guests. Virtual office packages are also available. This stylish center sits within a superbly designed business park, and offers top-of-the-range facilities and fittings to complement its smart exterior. The park is home to many major companies, and is easily accessible via Highway 164. 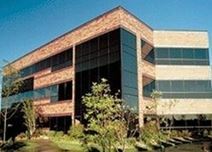 This executive business center is situated in a well-known and imposing building in Louisville, at the heart of the central business district. Easily accessible from I65 and I64, and the airport is not far away; which makes it easy for travelling clients to access the center. A range of local amenities is also nearby and the local infrastructure means that convenient travel options are always available. Office space now available in the East end of Louisville in Middletown and vibrant Jefferson County community. This facility provides easy access to and from the centre via the I-265 and I-71. The offices are modern and fully furnished and offer the latest internet and network technology. It also includes conference rooms with the building being well managed and offers 2 hour safe and secure access. The centre is also close to many nearby restaurants, banks, hotels and cafés. 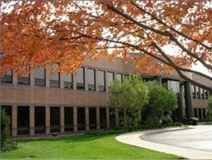 This facility is located in a vibrant area of Louisville close to many shops and restaurants in this prestigious community. The centre also provides easy access via the I-71. The offices are located in this High grade building near to Prospect; it comes furnished to a high standard and offers many administrative facilities such as Xerox machines, and excellent support staff. Meeting rooms are also available with the option of flexible lease arrangements to suit the business needs. Please ask for out Virtual Office packages that we offer as well. These professional tech-powered executive suites are located in a vibrant Brownsboro Crossing setting. A mix of private and shared office space is available while the center holds regular client appreciation events and networking opportunities. The regional transport services and infrastructure present throughout the immediate area and its vibrant corporate districts are excellent; with taxi ranks, underground rail stations and train stops nearby.